If you haven’t bought one of our readers’ favorite meat thermometer, today is good day to change that. And while you’re over there, you might as well fill your cart with a bunch of other ThermoWorks stuff because everything is 15% off. You can pick up the new Thermapen IR, smaller probe thermometer, a thermometer specially designed for meat smokers, this extra big, extra loud timer, or a whole bunch of highly-rated kitchen gadgets for the foodies in your life. 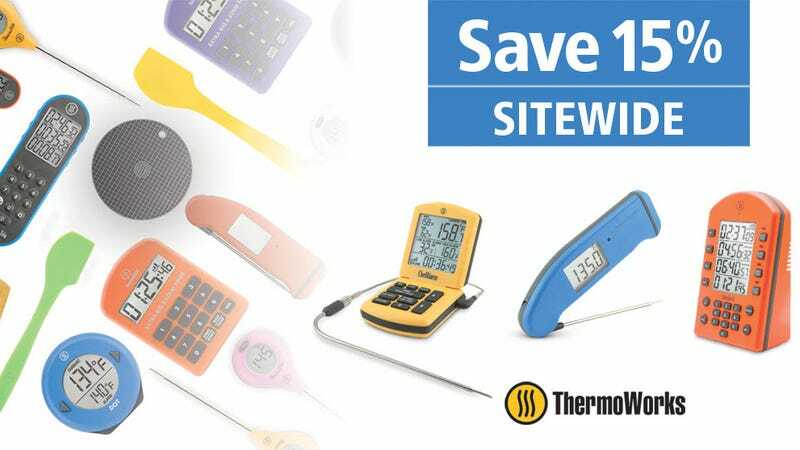 We don’t see sales like this very often, so head over to Thermoworks while the deals are still hot.